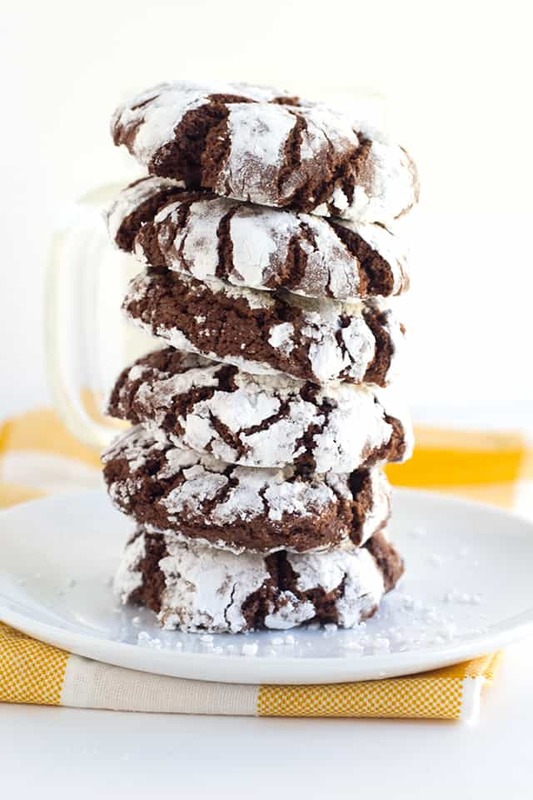 These rich, fudgy chocolate crinkle cookies are soft and perfect for Christmas! 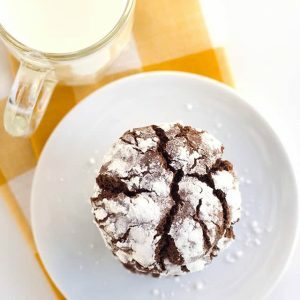 The chocolate cookie dough is rolled in powdered sugar and baked to get its beautiful crinkle effect. They’re easy to make and everyone loves a homemade cookie! October is National Cookie Month! Did you know that? To start celebrating it, I would like to share at least one cookie recipe (maybe two some weeks) from my cookie cookbook a week until the release date! First stop, chocolate crinkle cookies. These cookies are a nice cookie to have when you have a glass of milk or a cup of coffee on hand. They’re so rich, fudgy, and are the perfect cookie for the upcoming holidays! Not only are they gorgeous to look at, but so simple to make. You don’t even need to roll them if you have a cookie scoop. Scoop them out and drop in the powdered sugar. Kids that love to help in the kitchen can roll the cookie dough into the powdered sugar and coat each one before baking. It’s always a messy task, so embrace it. I’m one to talk. I try to be patient and let my son do more in the kitchen, but it’s a struggle. I know I don’t struggle because I don’t want the mess because I’m the messiest baker that I know. It just has to be my patience. When I first started recipe testing this cookie, it was an absolute nightmare. I couldn’t seem to get the consistency I wanted. I added baking chocolate and it turned out crunchy. I added too much butter and it didn’t crinkle properly. After an entire day of freaking out and testing this recipe, I got it! I only had to do every possible combination of ingredients there are in cookies to finally get it right and how I wanted them. 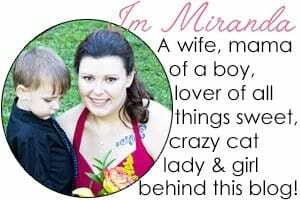 Get more information on my Easy Homemade Cookie Cookbook or buy it! 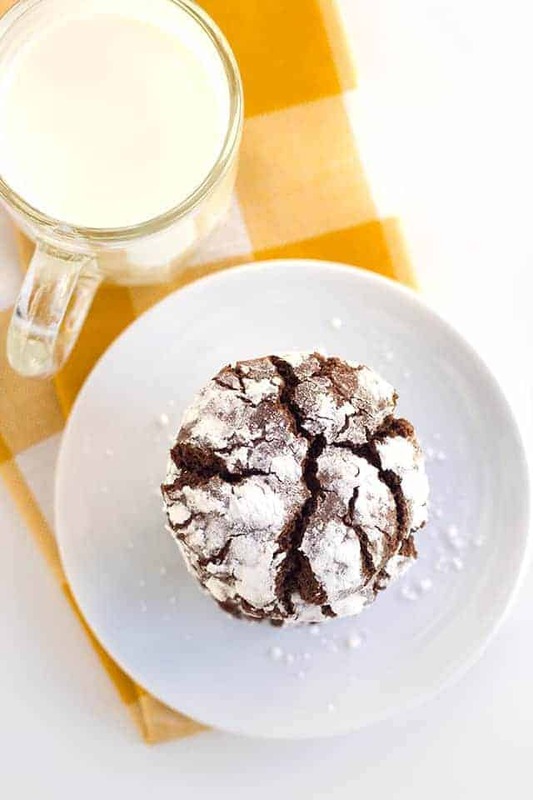 These chocolate crinkle cookies are soft, rich, and fudgy. They are rolled in powdered sugar and baked to for the pretty crinkles! In a medium bowl, add in the flour, cocoa powder, baking powder, and salt. Whisk until combined. In a large bowl, add in the butter, vegetable oil, granulated sugar, and brown sugar. Beat on medium for 1 - 2 minutes until incorporated. Add the eggs and vanilla extract and beat until incorporated. Add the dry ingredients into the large mixing bowl with the wet ingredients. Beat on low until the flour is mostly incorporated. Turn on medium and finish beating the flour in. Add the powdered sugar into a small bowl. Using a 1 1/2 T. cookie scoop, scoop the dough and drop it into the powdered sugar. Roll the cookie balls until coated with powdered sugar. Place the cookies 2 inches apart on the prepared cookie sheet. Bake for 12 - 13 minutes until the cookies are cracked and the edges are firm to the touch. Let cool for 5 minutes on the cookie sheet and then transfer to the cooling rack to cool completely.